This topic contains 2 replies, has 2 voices, and was last updated by admin 7 months, 3 weeks ago. We built a site out for a client on a staging domain. Configured the plugin. When cloning the site and going live with it we receive an activation error. I deactivated the key on the staging site, and tried to activate on the live site. No luck. When I go to sign into our account using the credentials we created I am unable to. When resetting the password it says that it was successful. But then we can still not sign into the account. Please assist. It is urgent that we get this site up and functional. 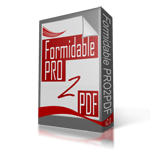 What is the PRO2PDF order number or email address on the account? Found it… Our apologies for the login issues you are having. Your account password has been manually reset, the temporary credentials were sent to the email address on the account.